Pick of the week: “The Confirmation” (Netflix) — My full review is here. You want the very definition of a hidden treasure on Netflix? It’s this gem from Bob Nelson, who wrote Alexander Payne’s “Nebraska” and brings his unsentimental but affectionate eye for small-town characters to his debut as a writer-director. 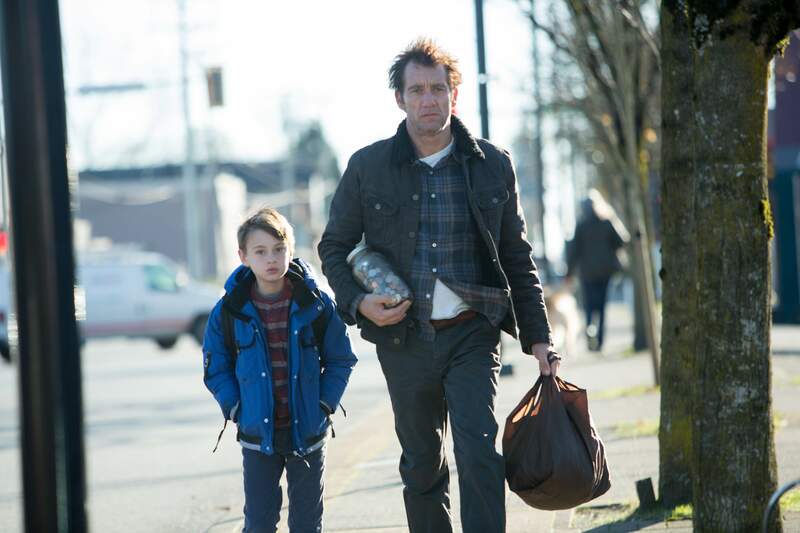 Clive Owen plays an alcoholic divorced dad who brings his eight-year-old son (the wonderful Jaeden Lieberher) on a quest to find his stolen toolbox. It’s a riff on “The Bicycle Thief,” both eloquent and no-nonsense, and Owen and son run across a ton of great character actors on their journey, including Patton Oswalt, Maria Bello, Matthew Modine and Robert Forster. This one’s a keeper. “The Confirmation” is now playing at AMC Johnson Creek 16. R, 1:37, three stars out of four. I want to live in the depressed Washington State town that’s the setting of Bob Nelson’s “The Confirmation,” because it seems to be populated entirely by great character actors. Clive Owen, Maria Bello, Robert Forster, Tim Blake Nelson, Patton Oswalt, Matthew Modine, and Stephen Tobolowsky all live here. While you don’t see him, you just know Paul Giamatti presides as mayor. I’m guessing all these fine actors were drawn to the film by Nelson’s low-key but utterly convincing screenplay, which lets these performers convey a lot with just a little. Nelson wrote the Oscar-nominated screenplay for Alexander Payne’s “Nebraska,” and there are definitely areas of overlap here — a focus on a strained father-son relationship, an unsentimental view of small-town town life. But “The Confirmation” might be a little less bleak, a little more forgiving of its characters and their shortcomings.